It's Farmlands at your fingertips! The Farmlands App is the easy way to discover the latest news and offers available to shareholders. Whether you need to find directions to a Card Partner in your area, or you want to keep up with rural news – the Farmlands App does it all. All you need is a mobile device and your MyFarmlands Account details. Once you've logged in, you will have access to a range of new features. Whether it’s a promotion in-store, or an upcoming event in your area, the Farmlands App will send notifications to keep you informed. You can find everything you need, from rebates to maps and directions on how to get to the Card Partner you want to find. Have a question? Want a quote from a Card Partner? 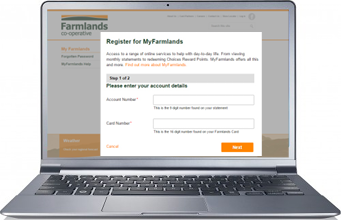 Need to find out more about a product or your Farmlands Account? 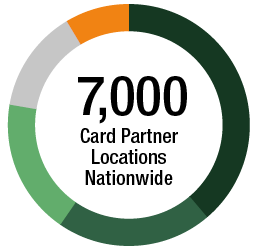 You can contact us and Card Partners directly through the Farmlands App. Already registered? Head straight to step 2. Just click on the download options below to get started. For more information or if you need any assistance, please call 0800 200 600.